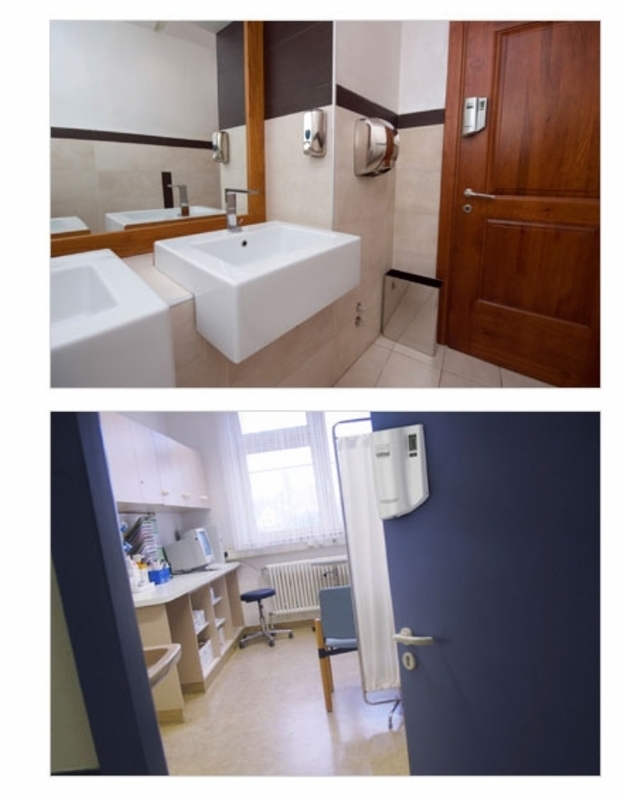 The HYSO D3 Micro is an EPA-registered Door handle Disinfecting Device that kills more than 99.9% of illness and infectious disease causing bacteria and viruses found on door handles. 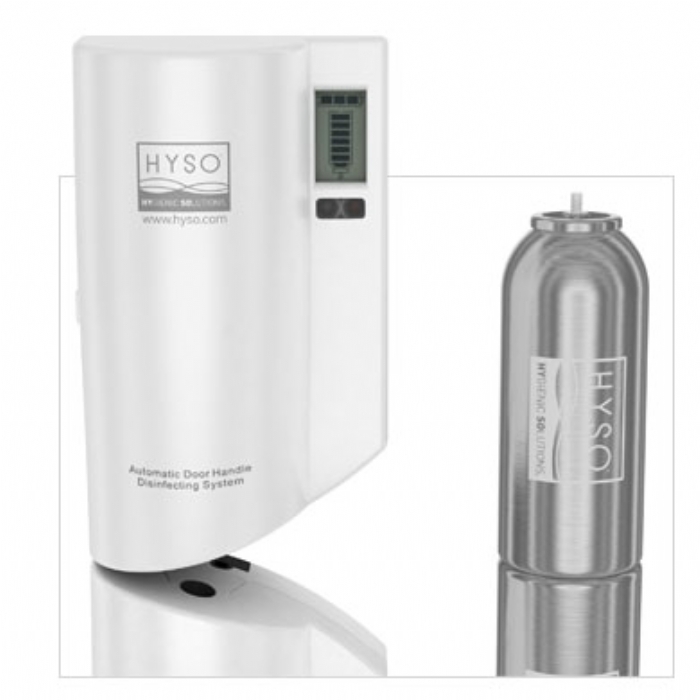 The HYSO D3 Micro delivers a burst of a quick-drying, alcohol and quat-based formula that covers the door handle, killing 99.9% of all germs. The formula is dispensed in a precise fashion and the frequency of the spray intervals can be selected from three different time settings in order to ensure that each door is receiving the disinfectant at the optimal level. Solving common public health and hygiene issues worldwide HYSO is committed to providing creative and practical ÃƒÆ’Ã‚Â¢ÃƒÂ¢Ã¢â‚¬Å¡Ã‚Â¬Ãƒâ€¦Ã¢â‚¬Å“Hygienic SolutionsÃƒÆ’Ã‚Â¢ÃƒÂ¢Ã¢â‚¬Å¡Ã‚Â¬Ãƒâ€šÃ‚Â to common public health and hygiene issues. HYSO develops products that are both aesthetically pleasing and scientifically supported. Because HYSO is dedicated to ensuring that its products are cost-effective and environmentally conscious, the company is able to reach a diverse community of institutions and establishments worldwide. With distribution offices in North America, South America, Europe, Asia and Africa, HYSO is becoming the standard in facilities across the globe. Hyso OverviewHYSO's flagship product, the D3 Micro, is the only Environmental Protection Agency (EPA) registered device for automatically disinfecting door handles. The D3 Micro provides the solution to a global problem by helping to prevent the cross-contamination of germs at a critical contact point - the door handle. HYSO also recently launched the HYScent Dual and Pod, green odor control units that use pure essential oils. By utilizing EVA technology, the HYScent product line conforms to the most stringent VOC legislation in the United States.